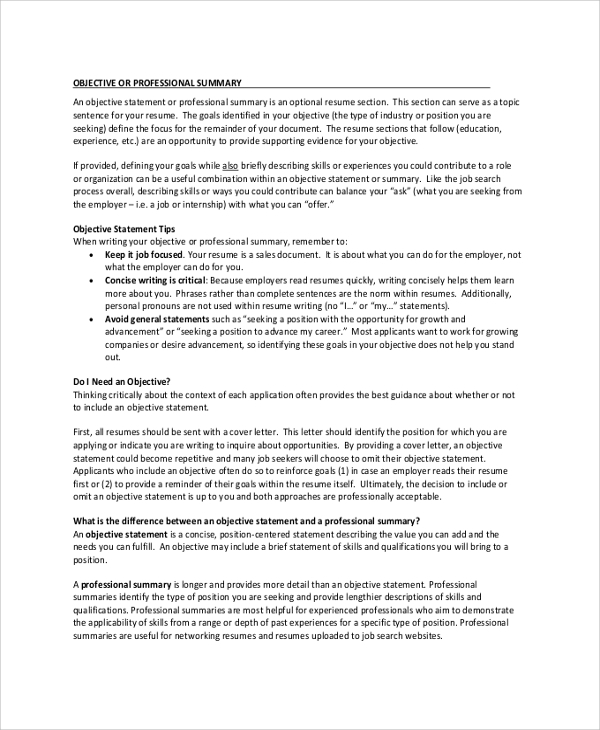 Objective summary or professional summary is an important part of a resume that gets neglected by the candidates because they have no idea what to write about it. 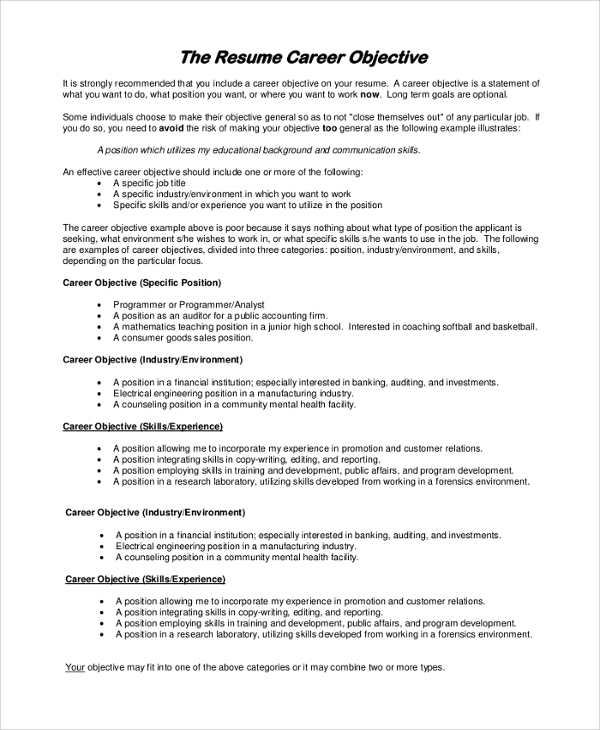 The following Sample Resume Objective samples provide all the guidelines one may require for writing an excellent objective summary at the beginning of a resume to impress the interviewer instantly. They have different samples and examples of objectives according to the resume in all categories of stream and jobs available. 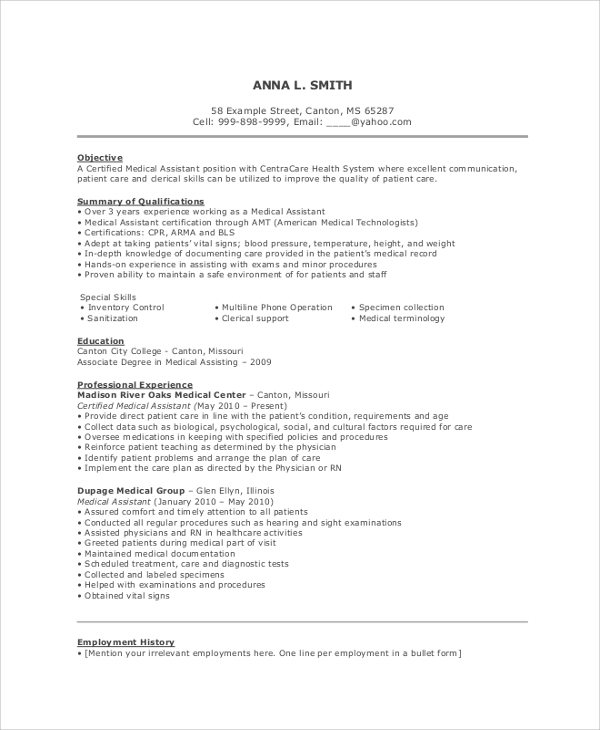 It is a complete manual on how to write an object summary and create a resume for a medical assistant’s job. It contains a sample, and it is well-organized to give it a professional look, and one needs to edit it to prepare his or her resume with an objective summary around it. 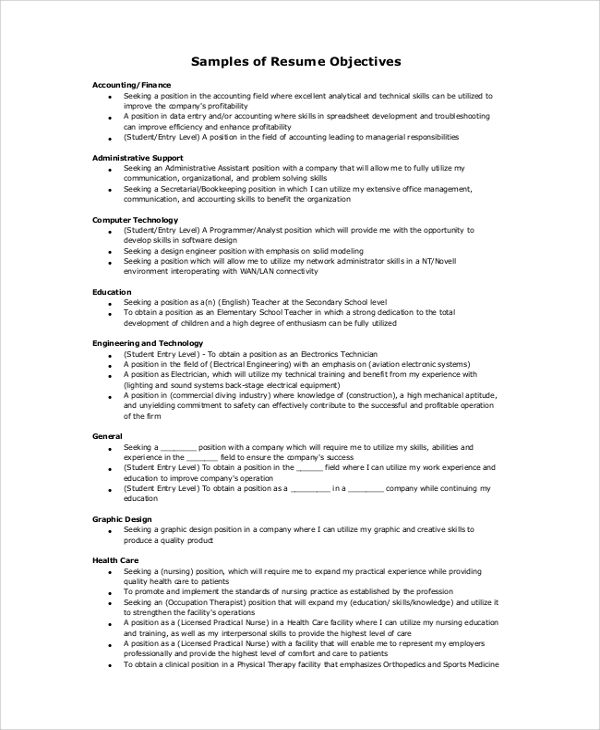 This is a great collection of accounting resume objectives, and it is divided into multiple categories with which a resume is created. It contains provisions for a professional summary, computer technology, administrative support, education, general, engineering, technology and so on. The specialized objectives will help to create different categories of resumes according to one’s need. This is a sample high school resume objective illustration. 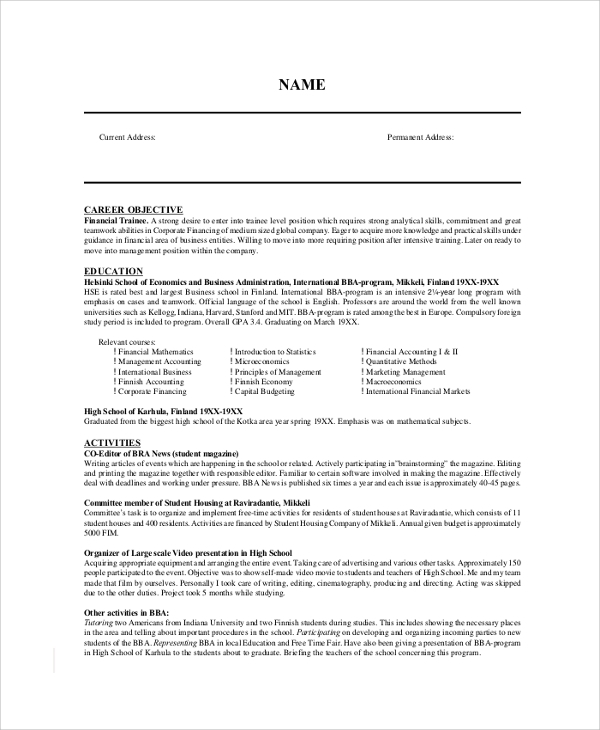 It shows the format to write an accurate resume and then goes on to explain which section should contain what data and information to create a super impressive resume with an objective summary. It also comes with a list of action words to write an excellent review. It is a collection of objective statements and guidelines to write an effective object summary. It states the need for an objective or professional statements and the ingredients it must have on the resume. It shows a shuttle distinction between an objective and a professional summary with examples. 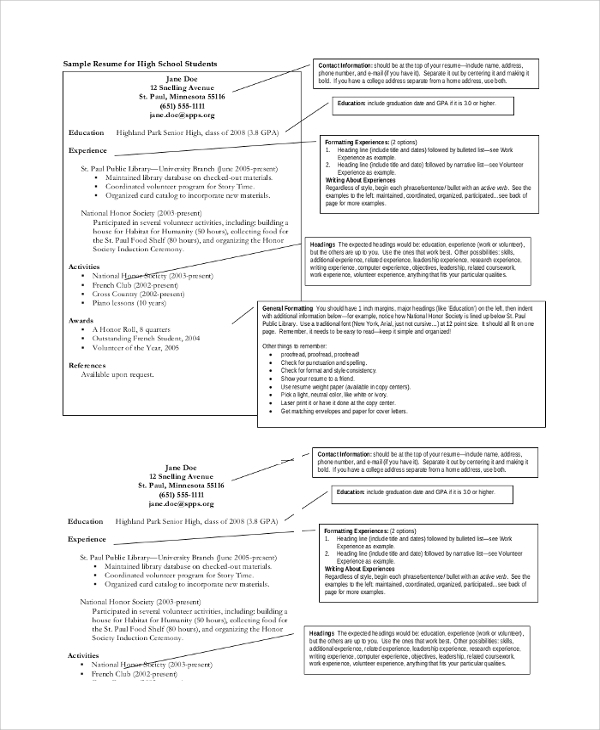 This is a great collection of objective statements that will help to create an awesome resume just by copying and pasting the statements in appropriate positions. You can create multiple resumes from these. It contains a large number of sample objective statements associated with specific skills. Resume objectives are needed by all the professionals that includes both the freshers and the experienced ones while creating a stellar resume for applying for different jobs. Entrepreneurs also need them to send a project proposal to a potential client to impress them from the very first paragraph. Resume Objectives which are well-written such as the above ones will help to impress the interviewer more than your competitors and therefore they are indispensable. 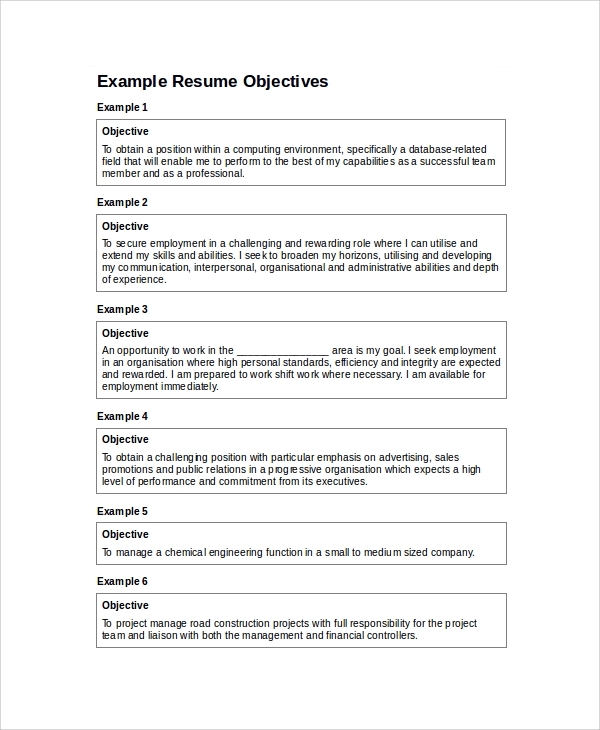 The above-listed resume objectives contain all the different kinds of sample objectives that require little editing. They can cater to any category of resume and job applied for. They also have a list of action words that you must use to create an impactful summary. 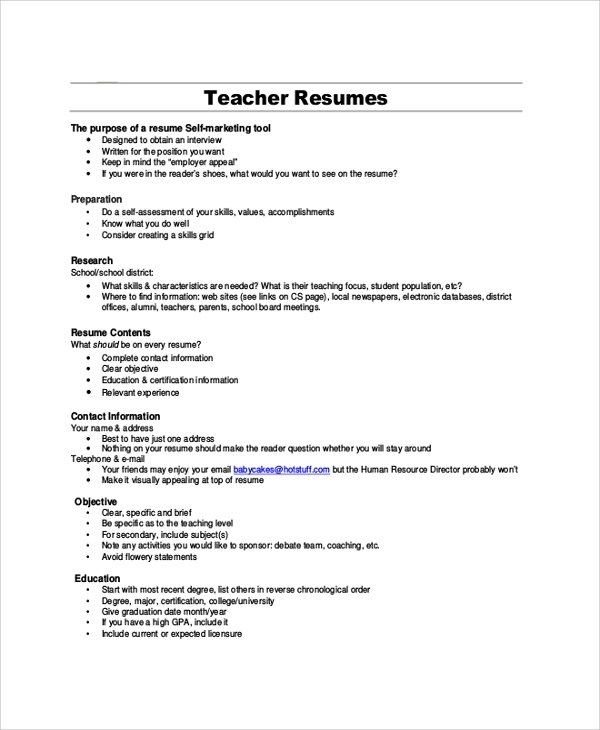 There are objectives for a high school resume, accounting, technology, assistant, sales representative and much more.